In addition to the 1906-1936 censuses, a less rigorous study was conducted by the Christian Herald in 1947. It’s in this latter census that we begin to see the inflated numbers that would become the hallmark of Orthodox population data until Krindatch did his work over the last decade. That’s a total of 129,606 Orthodox in the United States of America. A decade later, the Orthodox population had nearly doubled, to 249,840. Much of this growth was from the Russians, who grew by more than 80,000 members. I assume that most of these new members were former Uniates. 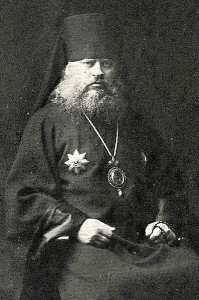 Abp Platon oversaw a period of remarkable growth for the Russian Archdiocese in the early 20th century. You know, I’ve always had it in my mind that the big growth of the Russian Church in the continguous United States came during the era of St. Tikhon (1898-1907) and St. Alexis Toth (1891-1909). But this data shows that the really big increase didn’t happen until 1906-1916. I find this fact especially ironic in that this period coincides almost precisely with the episcopate of Archbishop Platon, who ruled (and I mean ruled, with an iron fist) from 1907 to 1914. Abp Platon did encourage Uniate conversions to Orthodoxy, but he also wanted the ex-Uniates to become “real Russians” — to give up their distinctive ethnic languages and traditions and fully embrace Russian-ness, in all of its meanings. It’s all rather contrary to the traditional Orthodox missionary outlook espoused by people like St. Innocent; nevertheless, Abp Platon oversaw a period of massive growth in the Russian Archdiocese. Metropolitan Germanos Shehadi was one of three claimants to Antiochian leadership in the mid-1920s. It’s especially striking to see the Romanians jump to the #3 spot on the list. 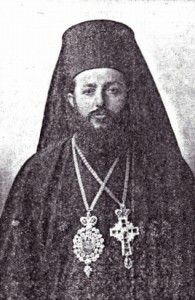 Realistically, I think the Antiochians may well have been as populous as the Romanians, but by 1926 there were three strong claimants to leadership of the group — Archbishop Aftimios Ofiesh (Russy), Metropolitan Germanos Shehadi (the original Antacky), and newcomer Archbishop Victor Abo-Assaley (leader of the newly-founded Antiochian Archdiocese). As I said above, it’s likely that the Census Bureau didn’t get data from all three factions, the result being an apparent decline in the Antiochian population. This was the second decade in a row that the Russian Orthodox population had declined. Keep in mind, though, that the Russian data has much the same problem that the 1926 Antiochian data had — the Russians were split into three groups (Metropolia, ROCOR, and Moscow Patriarchate), and I think that only the Metropolia was counted in the census. It seems that the Christian Herald‘s numbers came directly from the jurisdictions themselves, rather than from the individual congregations. And look at the growth: the Christian Herald reported 702,273 Orthodox in 1947, almost exactly double the population in the 1936 census. Are we really to believe that America’s Orthodox population experienced 100% growth from 1936-1947? Looking at the jurisdictions, some of the numbers are more believable than others. The Antiochian, Romanian, and Bulgarian figures are reasonably in line with their 1936 populations. And notice that the 3,137 number for the Albianians is exactly the same as it was in 1936 (meaning, obviously, that it was taken directly from the ’36 census, without additional research). According to Krindatch’s 2010 census, there are 799,400 members of the mainstream Chalcedonian jurisdictions. If we take the 1947 data at face value — that is, if we accept that there were 702,273 Orthodox Americans in 1947 — then the US Orthodox population has grown by just 14 percent in the past 63 years. Even if we halve the 1947 Russian figure, the growth since 1947 has been 45%, which is pretty modest considering over six decades have passed. While the 1947 data isn’t precise, I think it’s safe to say that we grew more in the 11 years from 1936-1947 than we have in the 63 years since. Finally, note the exponential growth of the Serbs and Ukrainians from ’36 to ’47 — 110% and 244% (! 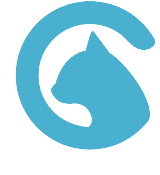 ), respectively. The Ukrainian figure, while very high, is definitely plausible, as the Ukrainians were a fledgling jurisdiction in 1936 and grew through the conversion of Uniates in the years that followed. I don’t know enough about the Serbs to say whether their number is accurate, but I know that many Serbs came to America during World War II (including St. Nicholai Velimirovich in 1946). I’m inclined to believe that there were roughly 42,000 Serbian Orthodox by 1947. As far as I can tell, this 1947 Christian Herald census, while obviously flawed, was the last reasonably accurate census of American Orthodoxy to be conducted in the 20th century. From 1947 until Alexei Krindatch began his work in the early 21st century, American Orthodox jurisdictions (and, in some cases, politicians) began to come up with their own statistics, and the results were way out of line with reality. Yes, there might be four or even eight million US citizens who are descended from an Orthodox Christian. And there may well be several million Americans who were baptized into the Orthodox Church as infants. But it’s incredible — literally, not credible — to count them all as Orthodox parishioners. Future historians will be indebted to Alexei Krindatch for his meticulous work, just as we, today, can be grateful for the accurate censuses conducted in the first half of the 20th century. UPDATE (10/11/10): I happened to have lunch with Alexei Krindatch just yesterday, and he pointed out that a much higher proportion of Americans were religious in the 1906-1947 period than today. To get a real sense of the relative growth of American Orthodoxy from 1947-2010, we need to take into account the overall population of religious Americans. I don’t have the data right now, but suffice it to say that it isn’t quite so simple to compare the raw 1947 population to the raw 2010 population. Next : Want to write about American Orthodox history? Very interesting analysis. I agree with the idea that significant numbers may have fallen through the cracks of the census methodology. This would explain the oddity that if one takes these numbers literally, then Ukrainians are non-existent until more than 10,000 of them suddenly materialize in the decade between 1926 and 1936. I wonder if the census entirely missed the Ukrainian Orthodox eparchy headed by Archbishop Ioann (Teodorovych), and before that, under the spiritual leadership of Metropolitan Germanos. There were certainly individuals in the US who self-identified as both Ukrainian and Orthodox going back to the 1910s. There were enough of them to bring Archbishop Ioann from Ukraine to the US in 1924 and to have dozens of parishes (if memory serves me) by the early 1930s.